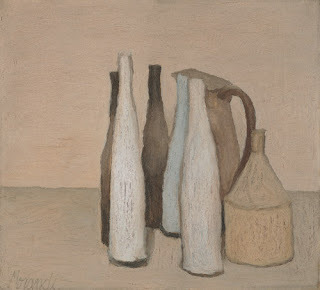 Whenever I see a group of bottles together I think about Giorgio Morandi (1890-1964). 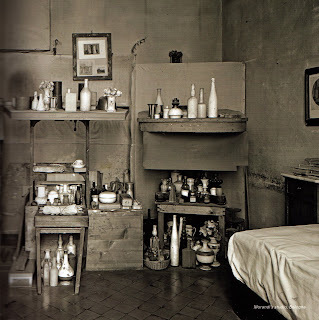 He spent his life painting a variety of bottles and objects he had in his studio, located in the centuries old house in Bologna that he shared with his three sisters. They lived a comfortable and cosmopolitan life, entertained a good deal, and none of them ever married. 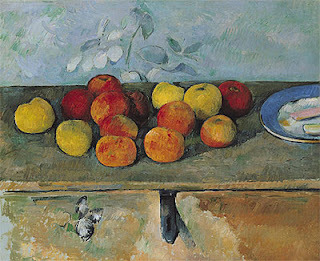 He studied the work of Paul Cezanne and Jean-Simeon Chardin and was very much influenced by them. 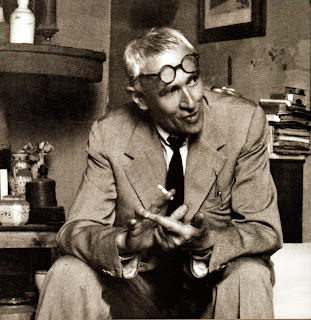 He was considered by many the greatest Italian painter of his time, and has been an influence on many artists who came after him. 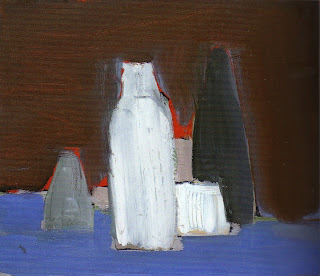 Kirsten Coelho is an artist who shows her work at the Matin Gallery in Culver City. 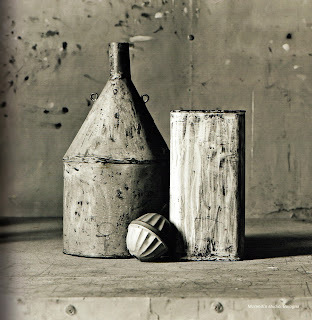 They are perfectly pure forms, with oxidation that gives a sense of age. 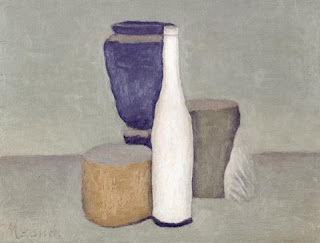 These look as though they came from one of Morandi's paintings. 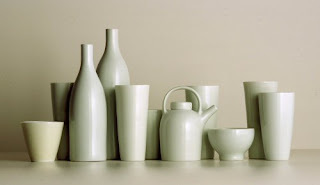 Gwyn Hanssen Pigott An Australian potter, who has certainly thought about Morandi. 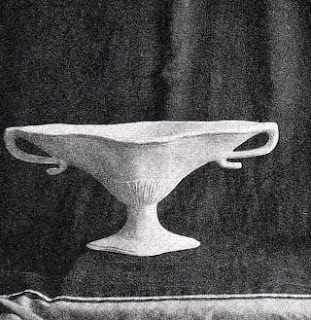 Frances Palmer, a potter living in Weston, Connecticut, who has a line of pieces made from old molds, as well as a handmade line. 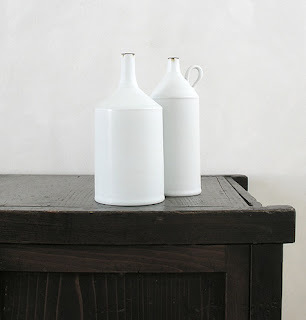 I found this on Remodelista. Constance Spry (1886-1960), Florist, Author, and Social Reformer! I love this piece. 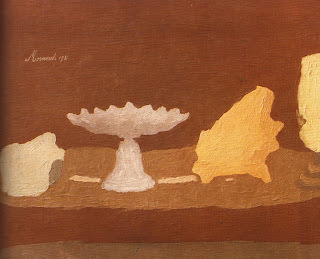 I saw a number of her pieces a few years ago at Gordon Watson in London and thought they were wonderful. 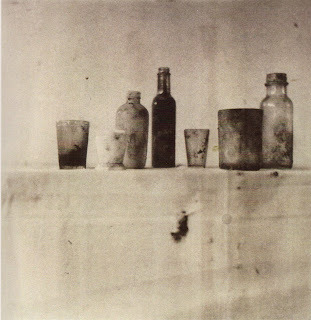 Andrew Lord I really enjoy his groupings of objects. 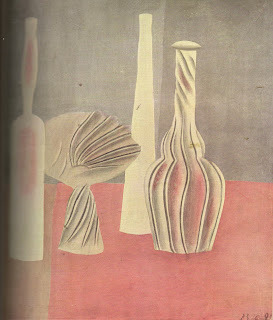 He's thought about Morandi too. 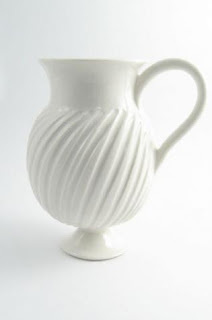 Simon Pearce Pitchers via Remodelista. 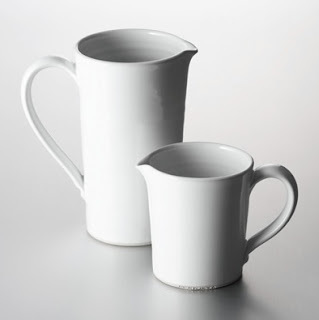 The clean lines of these pitchers are lovely. 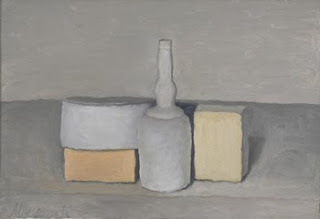 They have the simple forms of Morandi's objects. Thanks for a lovely interlude - a moment of stillness at the start of a busy week. 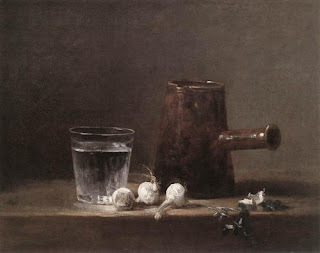 Just going back to older posts and luxuriating in the beauty and stillness (thank you, Anna) of them. What an incredibly discriminating and discerning eye you have, Laura. Each post is like a perfect little seminar in something elusive and beautiful.